Incredible One Enterprises, LLC is the award-winning business optimization consulting firm established in late 2007 by Darnyelle Jervey Harmon, MBA. Incredible One specializes in helping uncompromising entrepreneurs and small business owners establish breakthrough business optimization strategies to build a solid, thriving and holistically successful business in record time. We aren’t just about marketing or branding, we are about building an optimized business that yields financial and spiritual benefits and results so that you can truly fund the life you crave. In fact, 88% of our advancing entrepreneur clients (1-4 employees) grow their businesses by an average of 50% within 9 months of hiring Incredible One Enterprises and 68% grow their businesses by an average of 200% in the same time frame. In the last 12 months, our advancing entrepreneur clients have earned in excess of $15,000,000 and our small business clients (5-250 employees) have increased their revenues and overall business growth by an average of 63%. If you are wondering if we are what you need to make your business an Incredible One, you’re definitely in the right place. What Exactly Is The Incredible Factor? The Incredible Factor is your HUG – Hot Undeniable Gift (your divine gifts and talents), your SBM – Signature Business Move (how you solve problems for your ideal clients in a strategic and compelling way) and your USP – Unique Selling Proposition (how you stand out in the marketplace and offer a unique, fresh, different solution in an authentic and compelling way) in a client/brand magnetic package. Your Incredible Factor, when positioned in a strategic, compelling and authentic way, is why others are drawn to your business. Without your Incredible Factor, those you serve will not be able to accomplish their goals. It’s what makes your products and services the ONLY solution to their problem. I should mention that everyone has an Incredible Factor. If you are not an entrepreneur, you’ve decided to unleash your Incredible Factor by helping the company you work for to unleash theirs, and that is perfectly okay. The beauty of the Leverage Your Incredible Factor System is that we have adapted it to entrepreneurs or business leaders. Unfortunately, many start businesses without the skills, strategies and solutions that will allow their Incredible Factor to create significant wealth. Our mission is to show you how to define, own, unleash and leverage your Incredible Factor for the world to benefit from your business in a big way. In general, our ideal clients are already making money and already have clients. They are clear that they could be doing more and they desire to accelerate their results by working with our team through our proven business building process. They are highly motivated, passionate business leaders who know their passion, and they are very good at what they do. Our clients are not afraid to say that they want to be paid for what they do and our clients, they want to be paid well, while changing lives in a positive and inspiring way. Divine purpose and money can work together – you can have both. If you are just starting a business for the first time and have yet to prove concept, we are not the right firm for you. What types of industries have benefited from working with you? What is the Incredible Factor University (IFU)? 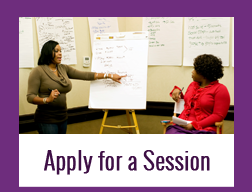 The IFU is a suite of coaching, consulting and mentorship programs for entrepreneurial business leaders. Using the Seven Pillars of Business Optimization® as the foundational curriculum with emphasis on a seven phased approach to growing a thriving, profitable business – Mindset, Messaging, Marketing, Sales, Operations, Talent Optimization and Leadership/Legacy – business owners can choose the program that best meets their needs based on where they are TODAY in their business. 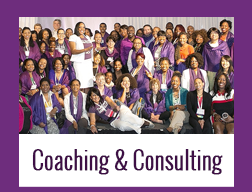 Each program offers a strategic blend of coaching, consulting, mentoring and masterminding to our clients. The curriculum at each level is proven to yield results and growth step by step. How do you differ from other business mentors & coaches? Honestly, we different from other coaches in many ways. 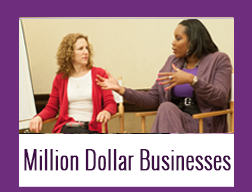 We help people align their divine purpose to a business strategy that positions them to profit. That in and of itself is different. We do not despise the importance of spirituality in business. Because our team of coaches and consultants hold advance degrees (MBA, PhD or JD) plus coaching certifications and have run their own very successful businesses, IOE is a tri-fecta. We get into the businesses of our clients. Even at events, we are hands on, off the stage engaging with students to make sure that they get the breakthroughs and clarity that will help them to advance their lives, careers and businesses. We offer our clients the accountability of a coach, the business acumen and example of a seasoned business professional and the customized marketing consultation and proven strategy to grow business. Moreover, we do not teach, coach or consult what we ourselves have not experienced, used or created and gotten results from. We also are able to help clients regardless of the industry with cutting edge strategies and concepts that will advance their business. Our primary focus for clients is helping them to position their Incredible Factor for profit so that they can enjoy the life they desire. Period. Our coaching style and practice is focused on a unique blend of coaching, consulting and mentoring. Our goal is to provide you with skills, strategies and solutions for your marketing and brand, mindset and strategy to achieve your financial goals so that you define, own, unleash and leverage your Incredible Factor. In our coaching and consulting work, We ONLY work with small business owners and advancing entrepreneurs. We are clear on the skill sets and the value we offer to clients. Our clients get coached and mentored on all things that pertain to running a business starting with mindset, systems, marketing, branding, growth and strategy, etc. We chose to focus so that you get the very best of us. Our expertise is sound, undiluted and consistent for producing results for our clients while adding in humor, empowerment and compassion. We love what we do; We have our own coaches and mentors and have made an investment in ourselves and businesses in order to show our clients how to do the same. We help clients connect their “heart-set” with their mindset so that it produces great results. We are clear that as you eliminate fears, beliefs and self-sabotaging behaviors you open yourself up to live your best life, allowing you to show up in the world in a much bigger way. A coach, quite frankly, is not your friend. Our job is to tell you what you don’t want to hear and to show you what you don’t want to see so that I can help you to become who God created you to be. We implore a no-nonsense approach to get BIG results for your business. WE DO NOT let you quit. Quitting is not an option for your Incredible Factor because unleashing it is your divine mandate. Do you offer professional development seminars & keynote speeches? As the CEO, I am an active member of the National Speakers Association and provide keynote speeches, professional development workshops, and breakout sessions for all types of business leaders and industries. I specialize in global leadership conferences, women’s empowerment conferences and conventions where I share my expertise and personal experiences in dynamic, interactive ways to advance entrepreneurs through my Pillars of Business Optimization. I speak on personal branding, marketing, sales and leadership. Because we are high achieving go-getters who do not make excuses and instead makes plans and implements them, we work best with people who would consider themselves the same. They are READY to get going and just need to know what to do to make it happen. Our clients are ready to do anything to get to the results they crave. Our Incredible Factor coaching programs, workshops and products were created for people who are sick and tired of being sick and tired, extremely excited and DEAD SERIOUS about unleashing their Incredible Factor in the most effective, efficient way. They are done complaining and making excuses. They are ready to walk into their Incredibleness. They make investments fully understanding that what you sow, you reap in your business. Think for just a moment about how your life would change if you had someone committed to teaching you step by step how to create massive and consistent results in your business. No more excuses, just non-negotiable decisions, a new way of thinking and complete support to achieve your BIG goal: to love what you do and to make more than enough to enjoy your life because your passion has produced a significant profit. By the way, I should also mention that we are allergic to whiners, excuse makers and complainers. we break out into a rash immediately when we’re exposed. If you are not committed, you are not willing to do whatever it takes and if you aren’t committed, We are not the coach for you. Are there any professions for which your coaching program may not work? Yes, If you are in a retail business or direct selling business (Mary Kay, etc) we are not the right coaching program for you. Our coaching/consulting work will work for any type of business leader that is committed to serving others and solving problems for consumers in the marketplace. The foundational principles of building a business are the same REGARDLESS of the type of business you are in, BUT you have to be able to control the rates you charge for the services you render for this program to work. Please note: My time is very valuable to me; therefore, I am very selective in whom I chose to work with as clients. If after getting acquainted with you, I do not feel we are a good fit, I will refer you to someone else. If I do not believe that you are truly suited for my programs or that you won’t get the results you desire, I will tell you. It wouldn’t be fair to do otherwise. The Incredible Factor University Programs are not for those who are financially struggling and cannot make an investment to work with us (at least not right away). People who are in financial crisis have problems trusting my recommendations and have historically not completed the work or have made excuses as to why they couldn’t get their assignments done (it could be because they are worried about money and operating from lack not abundance). 1. Keep your job and/or get a part-time job to create some positive cash flow before you call me. This will allow you to relax a little and take heed to the coaching and mentorship you will receive. Then you will be able to focus on the assignments and create the systems that will lead you to turning your passion into a profit. 2. 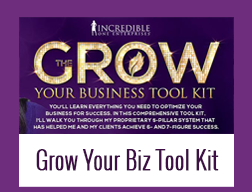 Take advantage of all of the FREE Incredible Factor resources available to you over email. The free information that I provide will get you on the right path of making your goals a reality for you until you’re ready to work with me as a private coaching client. Can I contact some of your former clients? Absolutely! In fact, I strongly recommend you visit my Client Testimonials page by clicking here and reading all about the successes they’ve experienced through working with me. You may even find that you are drawn to one or more of them – perhaps because they’ve gotten a result you desire or because they do what you do or desire to do. After you’ve read through them, feel free to email them directly to ask them what they got from working with me. What exactly is Marketing Success Formula Marketing Management System (MMSF)? The MSF is a proven system that equips entrepreneurs and small business owners to build a solid, thriving and holistically successful business. Service based entrepreneurs and small business owners learn to define, own, unleash and leverage their Incredible Factor with coaching and instruction on messaging, marketing, sales and operations to turn their passion into profitable business. 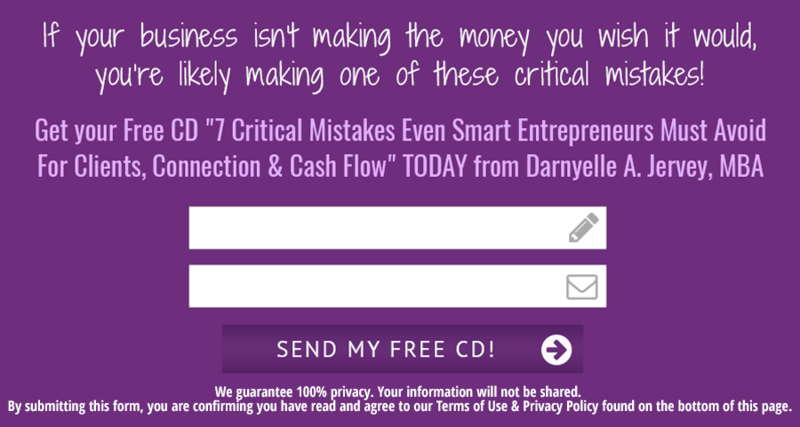 It is a 10 step system for turning your passion, divine purpose and knowledge into a profit stream that can allow you to experience financial and spiritual abundance in your life because of your business. It includes close to 15 hours of audio coaching and a 250 page manual/workbook and activity guide. This system has been proven to help our clients grow their business – attract more high-paying clients, build their network, earn more income, create systems to grow their businesses, create, price and package their Incredible Factor into products and much more. Naturally, you results will be contingent on your determination, commitment level and implementation. That said, all of my clients report back to me within a few months (if that long) about the results they are seeing in their businesses. Which include increased confidence, more clarity of vision, identifying their ideal client, attracting more paying clients, booking new speaking engagements, creating new products and services, establishing systems, increasing event attendance, expanding their network, new strategic alliances, and much more. It is my recommendation that you plan to work with me as your coach for at least 3 months to 12 months to maximize your results, learn the system and build a full client base. Again, you can see client success stories here. 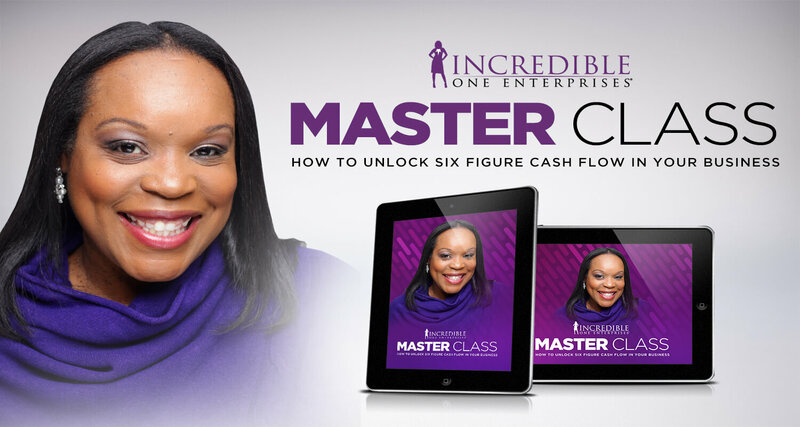 How can I make sure I leverage my Incredible Factor and begin to increase my income? First and foremost, hire me as your coach and mentor. I’m committed to your results. Quite simply, do all of your assignments and field work. If you fully focus on leveraging your Incredible Factor you will see manifestation. By committing to the process and understanding that this is not a “get rich quick” scheme but a dedicated system to improving your business success and it can take time to first clear the ground and prepare the soil where you will plant all the seeds that when watered with work, positive attitude and commitment will produce a harvest so you can enjoy the fruits of your labor. Will I recover the investment that I make to work with you in your coaching programs? Without a doubt, yes! By investing in my Incredible Factor Coaching Programs you are not only investing in clarifying your passion, purpose and profits but also marketing, mindset and money-making strategy. Because you invest you will be more, do more and have more clients, systems, income, clarity, impact and success in your life. I work very closely with you to help you to recoup your investment in the first 90 days of our work. Most clients receive a return on their investment by three to five times in this 90-day period. Many of my clients have recovered their investment by just attracting two to three paying clients, creating a new product, producing a live event, etc in a matter of days. I want you to determine what is a new client worth to you? AND what would it be worth to learn how to make more money in a month that you ever thought possible? With systems, strategies and solutions it is possible. I show you how and if you commit to implementing what you learn, you will see results. Working with me privately or through any of my group programs or products is a series of breakthroughs that will unleash the Incredible in your life and produce growth faster than you’ve ever thought possible. 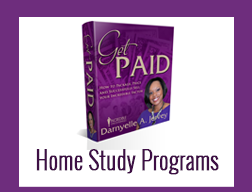 You will receive the resources and the step by step instruction to make it happen. Here’s what you are investing in – results, revenue, more clients, personal growth and development and systems that work. I'm so honored that you've chosen me to help you grow your business. I admire your courage to get out of your own way and onto your next level. I offer a few different ways to work with me and I or one of my business advisors would love to get on the phone with you to review your options. Click Here To Schedule Your Call.